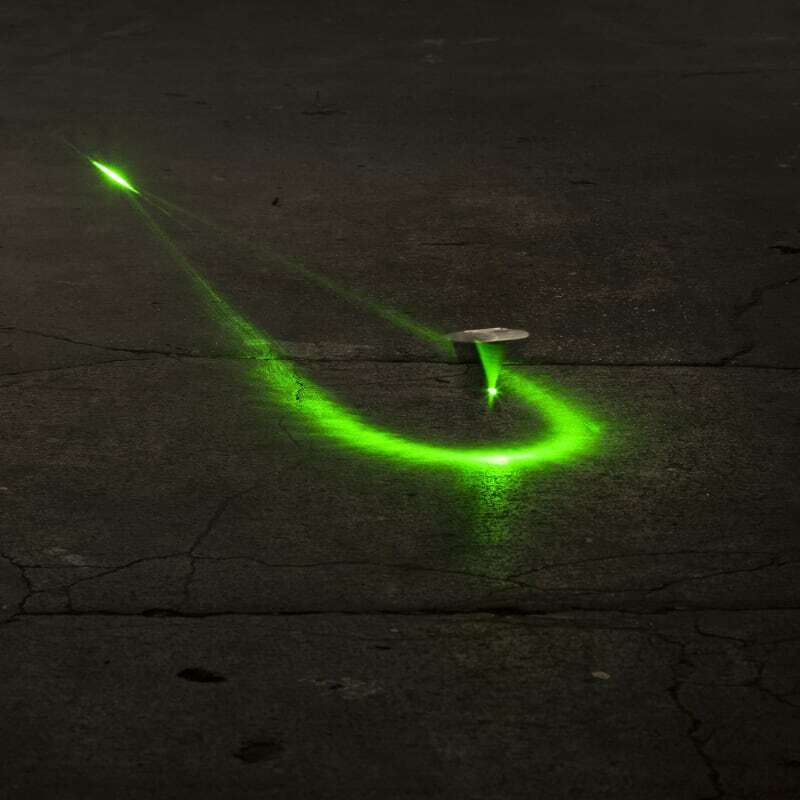 Green laser light and plumb-bob. Studio view – Geneva, Switzerland. Green Line alludes to the international boundaries established in the 1949 Armistice Agreements between Israel and its neighbors; Egypt, Jordan, Lebanon and Syria. During these discussions, green ink was used to draw lines across the map.